Experience the thunder and roar of Teasin’ Tina in action! 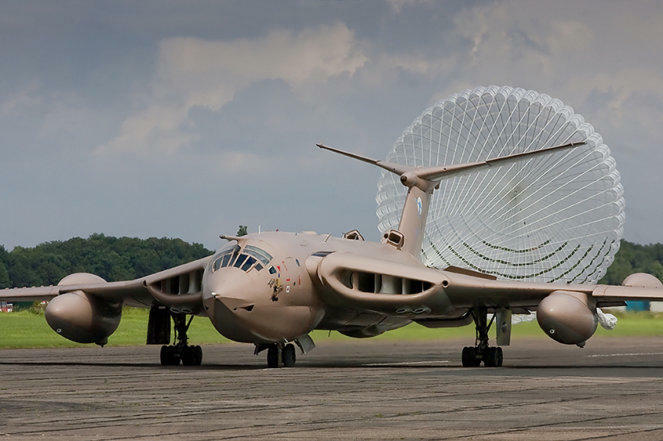 The next Cold War Jets Open Day at Bruntingthorpe will take place on Sunday, 26th May 2019. The gates will open at 9am and the aircraft will begin their demonstrations at 11am. Teasin’ Tina is planned to demonstrate an aborted take off run during the day. Visit our stand at the Open Day to browse our selection of Victor XM715 branded Polo Shirts, Baseball Caps, Men’s fleece jackets and Ladies Hoodies. Also available are Victor Tanker badges, key rings and other memorabilia. All proceeds will go towards the maintenance of Teasin’ Tina and to help us keep this historic aircraft thundering down the runway for years to come.